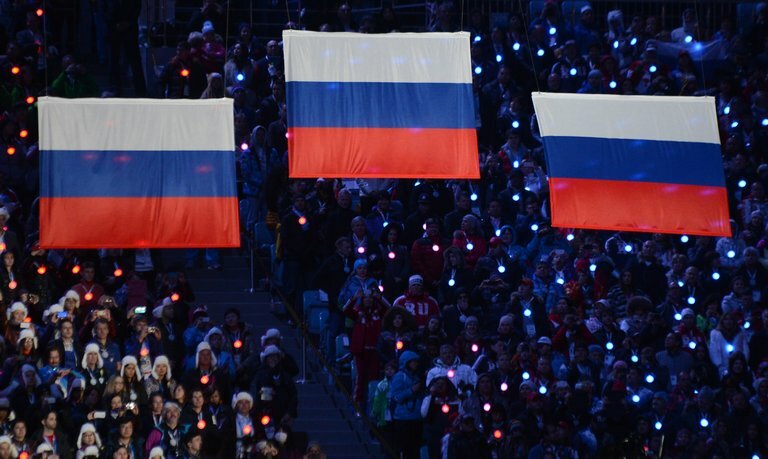 Russian flags were raised during the closing ceremony of the 2014 Winter Olympics in Sochi, Russia. A new report by the World Anti-Doping Agency confirmed accusations of government-ordered cheating by Russia at Sochi. The International Olympic Committee, under fierce pressure to respond aggressively to a doping scheme that corrupted the results of the past two Olympics, said on Tuesday that it was considering legal options to discipline Russian athletes ahead of the coming Rio Games and had appointed a five-person disciplinary commission. The announcement was made following an urgent meeting of the organization’s top leaders. Some were gathered in Lausanne, Switzerland, where the I.O.C. is headquartered, while others from around the world were on the phone. Their announcement, which could ultimately lead to gaping holes throughout the competitions in Rio, reflected a struggle to preserve the integrity of one of the sports world’s most prestigious events.